Countertop Sealer 660 will protect your countertop with a low sheen, satin finish without creating an artificial finish — protecting the warm luster and beauty of your concrete surface. Since Countertop Sealer 660 is water-based, food-safe, and VOC free. 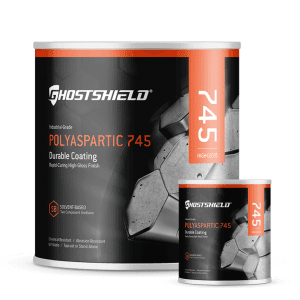 This mix both penetrates the substrate and creates a thin, hard shell that acts as a barrier against chipping, scratching, and the wear and tear of everyday use. 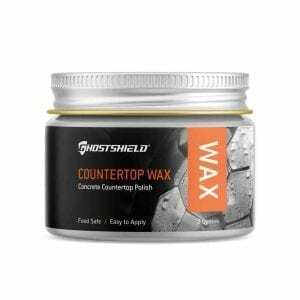 Use with the Concrete Countertop Wax. I requested samples of both the 5500 and 5505 products and after testing them out I decided I really liked the wet look finish this product gave, made my patio look as good as new. Hopefully I will get a few years lifespan out of this one before needing to reapply. Use with the slip tek additive especially around a pool deck, otherwise its becomes very slippery when wet! Couldn’t be more impressed with the customer service experience, really helpful associate who was able to assess my application and make a recommendation that I use this product. Not having much experience with this sort of thing I followed the step by step instructions and was able to roll it on with a paint roller – it was just like painting, so easy anyone can do it themselves. I recently reviewed this product with only 2 stars, because the sealer did not work…or so I thought. After speaking with the companies customer service, which I can say is the most helpful customer service I’ve ever dealt with, we came to the conclusion that the issue was not the product but rather I had purchased the wrong product for my project. After finding this out customer service went above and beyond to assist me in fixing what was my mistake, not theirs, in order to make sure I was happy. I WILL be using these products in the future and have already reccomended, and will continue to reccomend, this company, along with their products, to others! Its a bit of a time consuming process but man did this make my counters look good… ended up needing about 3 coats and its a bit tough to not get streaks… infact i can still see some… that “paper thin” last layer they tell you to do is next to impossible.. but it added a nice low sheen to my tops and really smoothed them out… so far ive tested water, ketchup, milk and mild soaps on it and after wiping it off within about 2 minutes there is no visual damage…. really happy with the product and the protection it gave the tops but be prepared to get a little annoyed with the application. Fair warning – this stuff gets stuck to anything it touches – hands, floor, cabinets, etc. Wear gloves & clean up any drips ASAP!! We purchased this particular sealer after reading lots of positive reviews, due to needing a food-safe sealant for our concrete countertops. We covered about 25-30 sq. feet with about 12-14 oz. We have a small amount left that we will probably use for any touch-ups. It’s not a glossy as I wanted it to be, so I will be getting a wax to put over the sealer. The application process was fairly easy, just follow the directions to a T. It also helps to have 2 people applying it, because you can’t allow it to dry during the application process. Very satisfied with the performance of this product. Did a great job and awesome support from the company who supplies it ! I generally like the product. I was not too sure what to use for my concrete bathroom vanity and checked out a few products. This sealer is water based and seemed to fit my needs. I used a brush to apply and it left some minor streaks so if I was to do it again I would use a small foam or tight nap roller. Once I was done and the sealer was cured I polished with a pure bees wax to ensure that all tiny holes in the counter were sealed. It came out great. I used the 5505. This product did exactly what i wanted. Gave a wet look with just enough gloss. I did a 14×14 flagstone patio with 1.5 gallons. 85 degrees outside, goes on easy with a roller and dries fast. It was easy to apply. I did 3 layers. Am waiting to see if it easily scratches. Time and use will tell. It definitely keeps liquids from soaking into the concrete.